Gary Warby, MD at Premier Windows and Doors reviews energy bill reductions with the installation of double or triple glazed windows and doors. The Energy Saving Trust estimate that new double glazed windows and doors could save the average UK household up to £160 a year in heating bills. As a result, Premier Windows and Doors have launched a free home energy efficiency check. Gary commented “We supply hundreds of energy efficient PVC-U windows and doors throughout Aylesbury, High Wycombe and Hemel Hempstead each and every year. We not only make our customer’s homes warmer but more secure.” See https://www.premwindowsanddoors.co.uk/windows/ or https://www.premwindowsanddoors.co.uk/doors/ for more details. According to the Energy Saving Trust, heat lost through windows accounts for around 25 per cent of the total energy lost from your home. 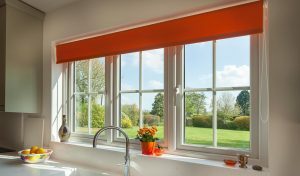 Premier Windows is offering free home energy efficiency checks to help you work out exactly what you could save by fitting energy efficient double-glazed and triple-glazed PVC windows and doors. Premier Windows and Doors offer an extensive range of low maintenance and energy efficient PVC-U windows. These are available in a wide choice of colours and finishes, they can also be designed to define or compliment the character of your property. For more information please email enquiries@premwindowsanddoors.co.uk or call a member of our team on 01296 422 842 or 0800 854 353.